Fans of SZA were very vocal (and hopeful) for news about a tour, well today is that day as “The Weekend” singer made the announcement over on her social media channels. Coming off her highly anticipated and successful release of her debut album, CTRL, last month – TDE’s first lady is set to take the album on the road beginning in August. 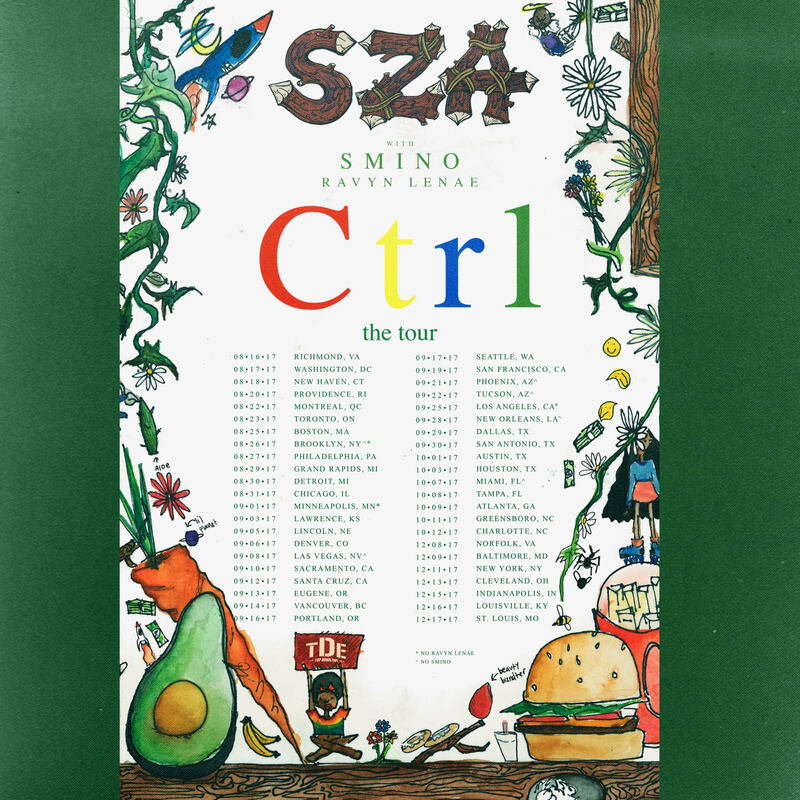 Ctrl: The Tour is set to kick off on August 16th in Richmond, VA. SZA will be hitting 44 other cities during the duration of the tour including Chicago, Boston, Brooklyn, Detroit, Los Angeles and more. Accompanying SZA on select dates will be Smino and Ravyn Lenae. Next Next post: Contest | Win Tickets to 400 Fest featuring Major Lazer & More!